Thank you so much, Dan, for featuring this image in "Premium FAA Artists"!!! Genevieve, thank you so much, appreciate your Vote/Fave! Tina, appreciate your comment and Like/Fave!! Thank you very much, JW, for featuring this image in "Southern Photographers"!!! Appreciate your featuring this image in "Macro Photography, Bruce, thank you! Thank you very much, Robyn, for your congrats and for featuring this image in "The World We See"!!! Randy, thank you very much for your kind and encouraging comments on this image and for your featuring it in "Wisconsin Flowers And Scenery"!! 2/25/16 Congratulations your work is featured in the FAA Group Beauty in Art! Appreciate your great comment, Sandra, thank you! Really appreciate your great comments, Jack, thank you for your vote!! H Ruth, thanks so very much, yes some of them can have great color. A pink Kale plant close up with wet melted snow in it's leaves and in those large drops you can see refractions of the other lacy looking leaves. 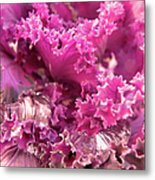 These plants are hardy winter plants that will endure hard frosts and snow. 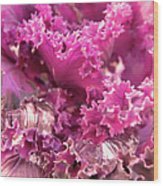 We have several of these in our front by our door, as they are very ornamental in winter time, and come in pinks, purples and whites. 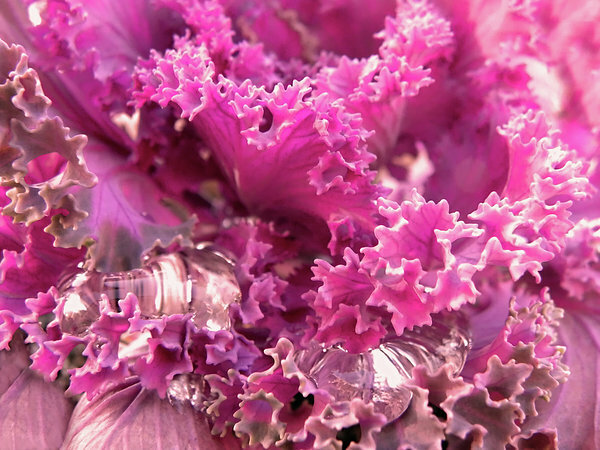 They are not edible like kale is but some really look like kale. This image is a macro taken with a Nikon Nikor 105mm macro lens after a large snow storm. The look of these plants to me can make great abstracts in a macro or close up shot as they have the look of an underwater coral or plant. 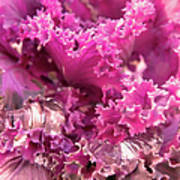 Fine Art Ornamental Kale Photography by Sandi O'Reilly, All Rights Reserved and Copyrighted in the US and Internationally. ALL FAA WATERMARKS ARE REMOVED AT THE TIME OF PURCHASE!! !